First of all, thank you for all the get well wishes. I still have next to no voice. I do feel a teeny bit better. I am hoping tomorrow brings back more voice than this squeak/croak combo I have going on. So again, thank you, faithful readers for all of the get well wishes. I am glad everyone enjoyed the ABC's of Christmas. It was fun to do. I will admit at about the letter "P" or so, I wondered what the heck I had gotten myself into. :) It was fun. Not sure there will be Easter or St. Patrick's day ABC's anytime soon though. Just a reminder, it is still Christmas. 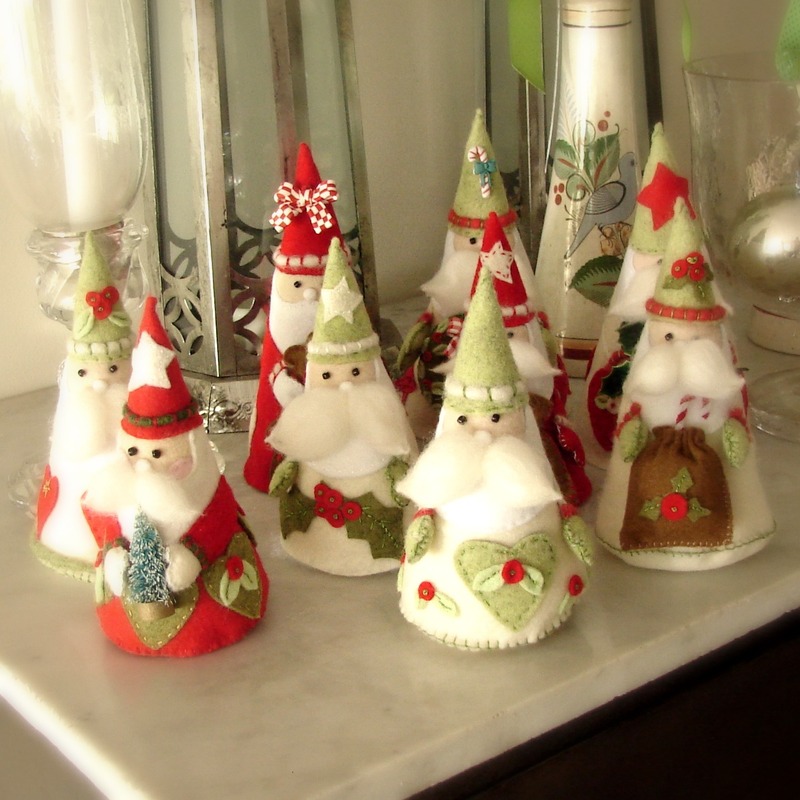 Don't you love this collection of felt Santas? My best friend collected Santas. When I saw this, it reminded me of her. Her birthday would have been tomorrow, so maybe it was just her way of saying "hello." I love their fluffy mustaches. And even though it is still Christmas until January 6th and the snow for our white Christmas has been lovely, I feel myself wanting to move on! And this sweet bunny is a reminder that spring will come. I KNOW winter just started. Haven't you learned yet that I am impatient? I have a few things in the works on my cutting table. 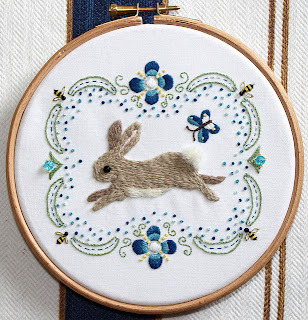 And now that the rolls of wrapping paper have been put away, I feel like I can get back to stitching. 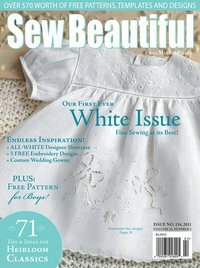 And thank you to Sew Beautiful for the shout out in Issue #134. 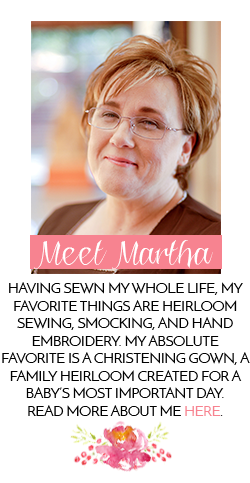 Yours truly, Southern Matriarch, was given a reference for the pulled thread tutorial I had done last year. All in all, this was a wonderful issue. Lots of eye candy as well as projects I want to put on my to-do list. If you haven't picked up an issue, I urge you to do so. We see Bunnies here .... snow bunnies. They are so prolific that one night i had to dodge about 15 on the way home. I am glad I am not the only one thinking Easter already. I am perusing all my SB's and AS&E for ideas for that special day. I am looking forward to seeing what you have cooked up on your sewing table! Get back to feeling better so I can see some wonderful eye candy! Hope you feel better! People are dropping like flies here. I have several friends who have sick kids for the winter break and no one is happy about it!